The late 1960s and early ‘70s provided inspiration for young musicians around the globe. In the wake of the success of bands like the Beatles and Rolling Stones – and literally hundreds of others – the idea that one could make one’s own original music and bring it to a receptive audience took hold nearly worldwide. But perhaps nowhere was that feeling as strong or as fully realized as it would be in cities and towns throughout the United States. And while many histories of the locally-grown music scenes of that era focus on the garage rock phenomenon largely populated by middle-class white teenage boys, the urge to put together bands and create music transcended class and race. 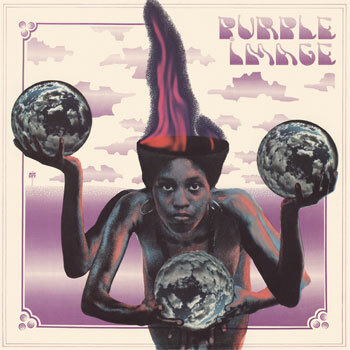 In 1968, a group of African American musicians in Cleveland, Ohio’s East 105th Street neighborhood formed a group of their own, eventually to be called Purple Image. The band would go on to release a classic (if little-heard) album, open for Steppenwolf and Aretha Franklin and secure a spot at a huge open-air festival in Ohio. Reed brought with him a song written by a Cleveland television reporter at WKYC, Bill Jacocks. Because Jacocks had been told by his boss at the NBC affiliate that on-air talent was prohibited from using their real names on projects outside of work, Jacocks used a pseudonym, Robert Craig. 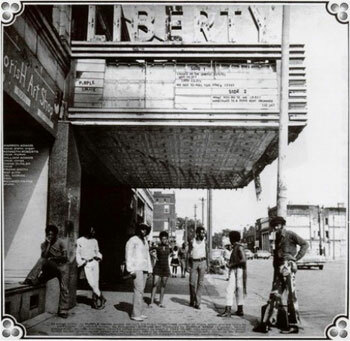 Reed had a cassette tape of Jacocks demoing his song, “Marching to a Different Drummer.” He wanted to play it for Adams and get his thoughts on the tune. “It’s interesting when you want to give somebody an idea, and you’re hoping on that idea,” Adams observes. “But the idea is not really saying what you want it to say at the time of its development.” Still, Adams found that the song’s lyrical ideas touched a nerve. “I was a rebel during that time,” he says. “I was involved in all of the marches and everything else that could possibly be going on for society, and I had to, let’s say, march to a different drummer. That’s pretty much what we were all doing: We were marching to that different drummer as a community, and as a nation.” So his interest in the song grew. Adams mentioned the song to a friend and occasional musical collaborator, James Spears. Based just on hearing the title and some of the words, Spears responded that he’d like to hear Jimi Hendrix play such a song. “It was a joke at the time,” Adams admits, “but then those little brain cells started working, and I thought, ‘Well, if he could do it, why shouldn’t I try to do it?’ And that’s what I did.” Working with Spears, Adams began to develop a melody for Jacocks’s work. For the drumming position, Adams wanted Richard Payne, another friend and classmate of his younger brother. “I had to go by Richard’s house and talk to his parents about becoming involved, because he was young,” says Adams. “Ricky was in 11th grade at the time, and we were talking about recording, talking about all our hopes and dreams. His mother was very warm and cordial to us.” Payne’s parents eventually consented. “So now we had a drummer, a guitar player, and three singers,” Adams laughs. To fulfill the funky and thunderous bottom end of Adams’s musical vision, he sought out Del Sartre Moran, a musician he describes as “one of the baddest young bass players I had ever heard.” He visited a club where Moran was playing live, and made his pitch. “It must have been strange to him,” Adams chuckles. “I told him, ‘You can be the bass player. We’re not playing any gigs, but we’ve got a song that we’re going to record.” Moran was interested. Though he, too, was underage, his parents eventually signed on to Adams’s musical vision and let him participate in the new (and as yet unnamed) group. Vocalist Diane Dunlap and saxophonist Ed Snodgrass were soon added, completing the lineup.